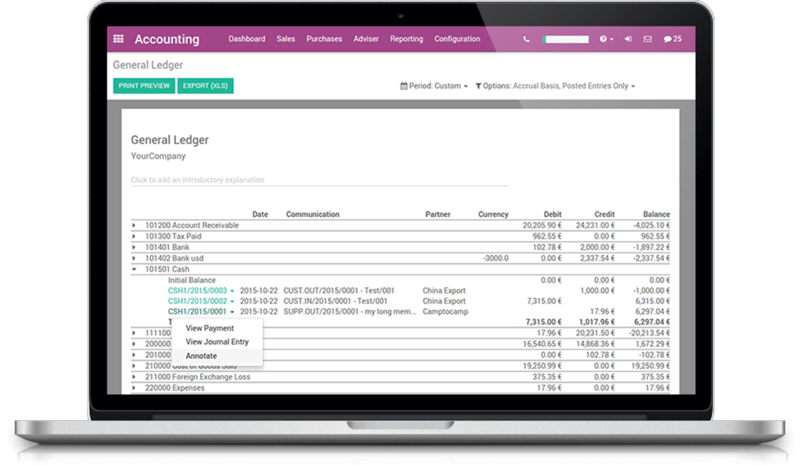 Our client needed to implement and configure Odoo ERP to suit their business needs. 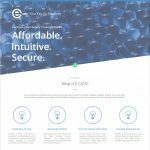 They wanted to set up the appropriate modules and tools to streamline business processes in their company. CRM, Invoicing, Accounting, Human Resources and Project Management modules were to be installed and configured. 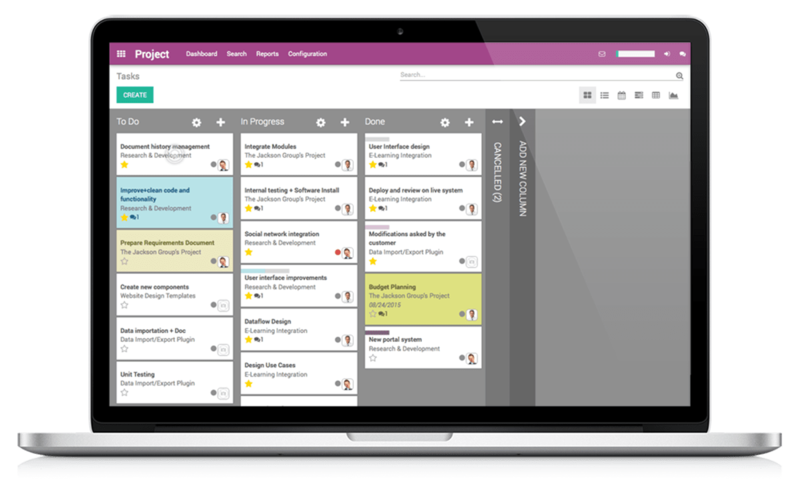 To install and concompany figure Odoo ERP, particularly to map the way customers use multiple tools for managing their and employees, and to transfer these processes onto a single Odoo system that combines all the functionalities the client needs. 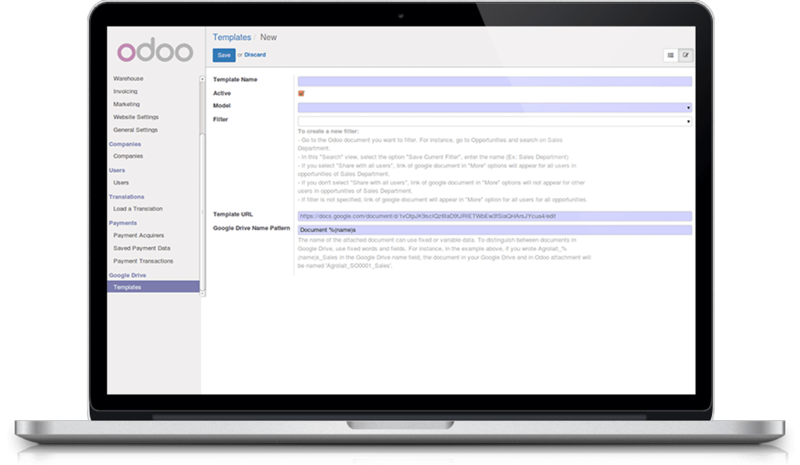 To integrate Google Drive, including Google Docs and Google Sheets with the Odoo system, to allow users to add, create or delete new files and edit them using Odoo system. 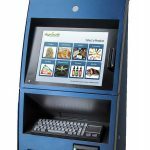 The basis for the proper configuration of the system was to understand the needs of our client. We conducted a set of interviews in order to gain information about various aspects of the company, such as: the flow of information and documents in the company; the work-flow system used with the tools and applications. After that, we mapped the scenarios needed to create the appropriate Odoo configuration. The client was using apps such as Trello, Skype, Hubstaff, Google Spreadsheets, Google Docs and a desktop invoicing app. 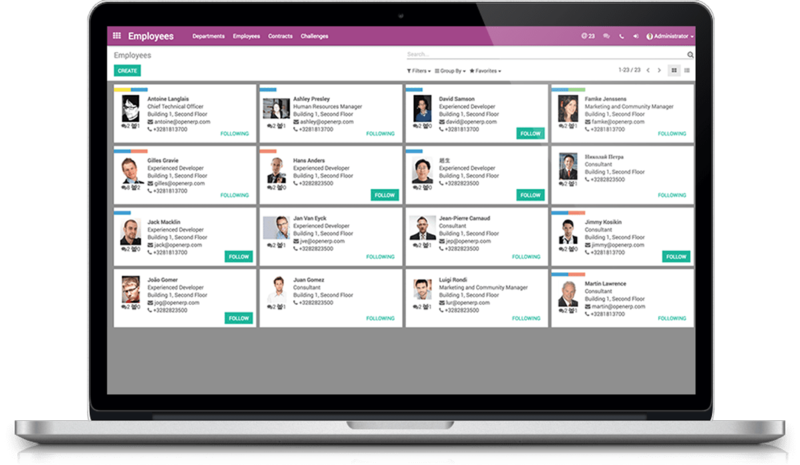 They expected Odoo to provide them with the same functionality they already had. We installed the appropriate modules and performed the configuration. We implemented CRM, Invoicing, Accounting, Human Resources, Messaging and Project Management modules and configured them according to the client’s business work-flow, keeping in mind that processes carried out in one module influence the other modules. 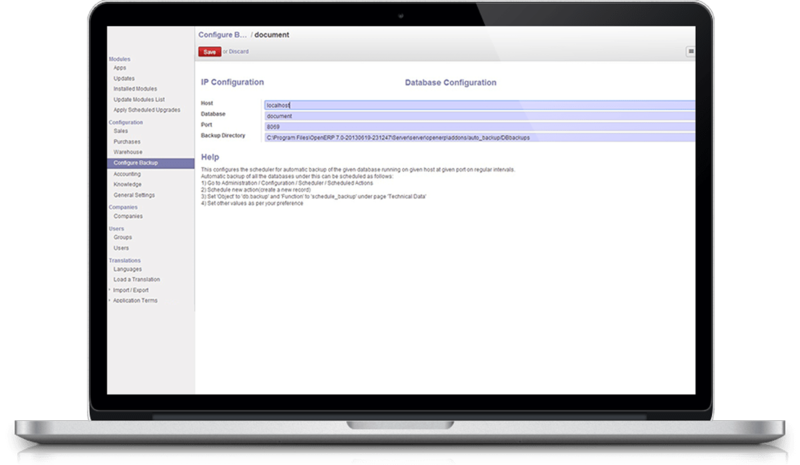 We provided the client with security configuration for the cloud server and the Odoo system, including firewall, SSL, VPN and database backups. 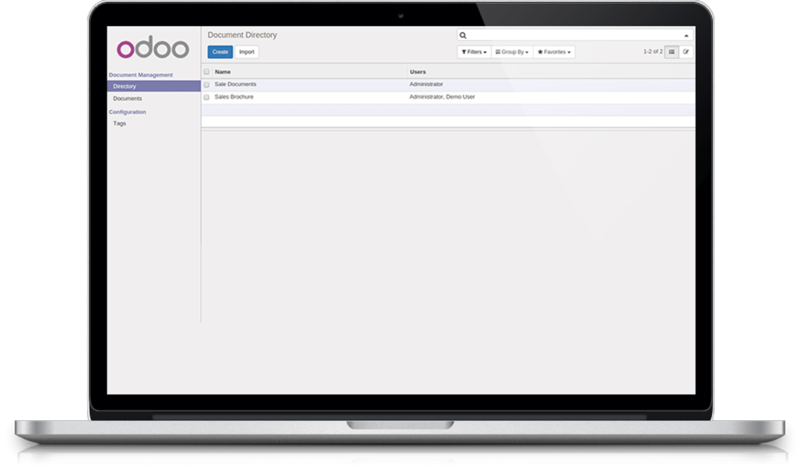 Using Google Drive APIs and Odoo 10 Web Services, we created an Odoo app to handle Google Drive activity, in particular to link folders and files, to create, edit and delete folders that are stored on Google Drive using the user interface of the Odoo app created. 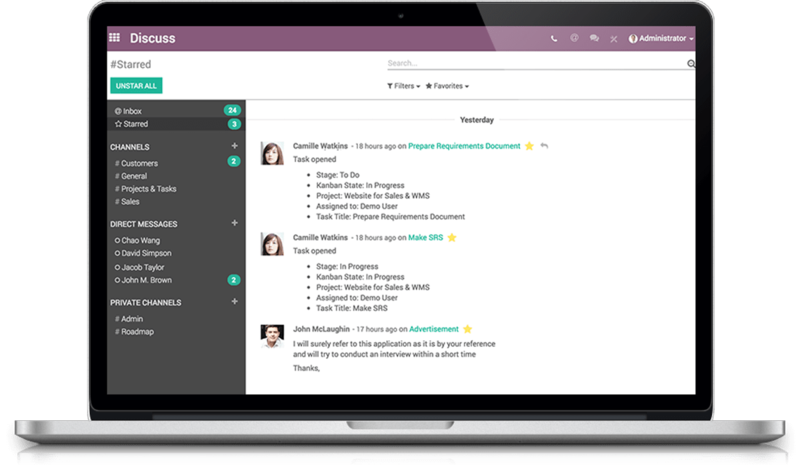 The module allows users to attach Google Drive documents or spreadsheets to any records in the Odoo system, as well as uploading new files to a dedicated folder in Google Drive while only being logged into Odoo.